The main goal of the United States is to restore democracy in Venezuela, US Vice President Mike Pence said during his meeting with Carlos Vecchio, Chargé d’Affaires of the Government of Venezuela to the United States, official White House website reported on January 30. During Pence’s meeting with the opposition members at the White House, he congratulated Carlos Vecchio and Julio Borges with their appointments being approved by the opposition leader Juan Guaido at the National Assembly. Pence stated that it is the US has long pursued the goal to restore democracy by means of fair elections. US-imposed sanctions against Venezuela are aimed at locking out Maduro and his allies from access to corrupt profits and keep the national resources for the citizens of Venezuela, Mike Pence said. National Foreign Affairs Ministry officers called the US-imposed sanctions against Maduro a robbery in broad daylight. According to the decision by the US, part of Venezuelan assets was transferred to pro-US opposition members, after which Juan Guaido was barred from leaving the country, and his bank accounts were fromzen. Prior to this, a Venezuelan Foreign Affairs Ministry representative said that the main goal of the state coup is to take control over national oil resources. 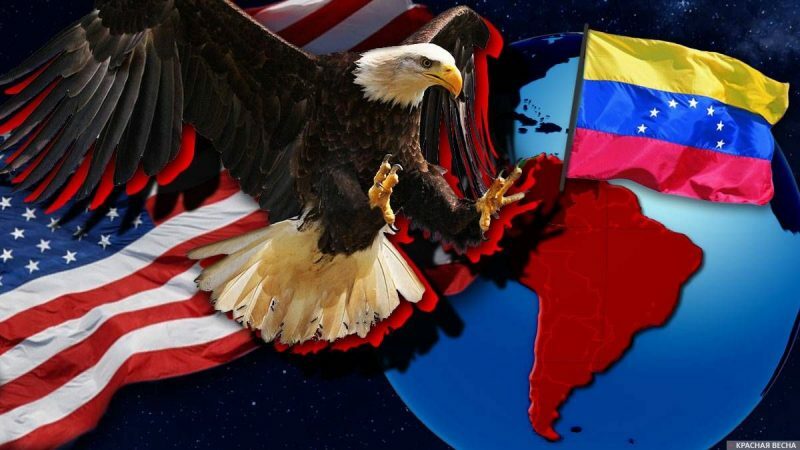 Experts have earlier reported the United States would likely not elect to initiate a military intervention in Venezuela. This entry was posted in News from the West and tagged Informational-Psychological War, USA, Venezuela. Bookmark the permalink.